Blaze is racing onto his eighth DVD, Blaze and the Monster Machines: Robot Riders, available February 5, 2019. 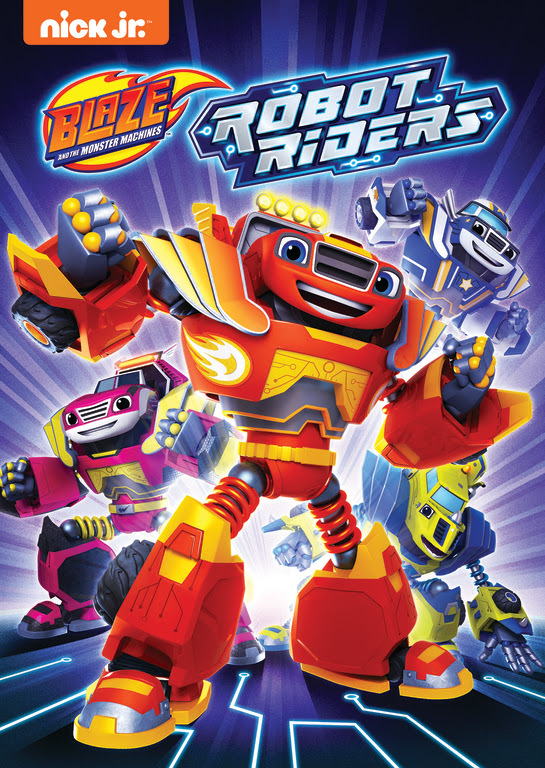 Fans can join Blaze and his Monster Machine friends on four adrenaline-pumping adventures as they transform into robots to save Axle City, rescue T-rex babies, race through wormholes and more! Produced by Nickelodeon Home Entertainment and distributed by Paramount Home Media Distribution, Blaze and the Monster Machines: Robot Riders will be available on DVD February 5, 2019 for the suggested retail price of $10.99. 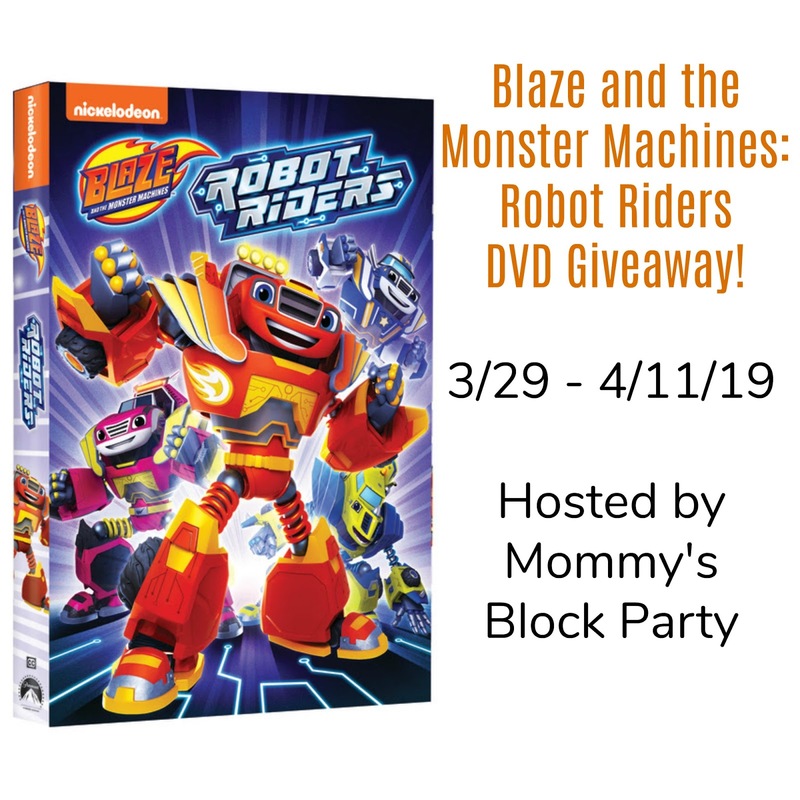 Blaze and the Monster Machines Robo Riders debuted on Nickelodeon DVD February 5th & would make a perfect Easter basket filler! 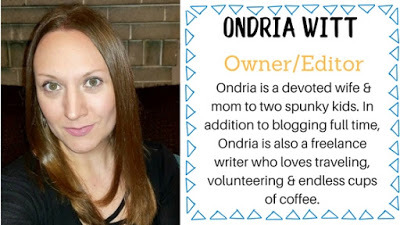 Look for this title in our 2019 Easter Gift Guide! 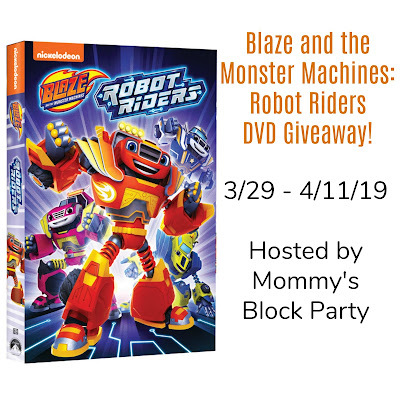 One lucky reader will win a copy of Blaze and the Monster Machines Robot Riders on DVD! Blaze is my son's favorite. My son likes to watch movies, read books, play video games and likes to go to the park. we like reading for fun!